Have that one room in your house that's thirsty for style? 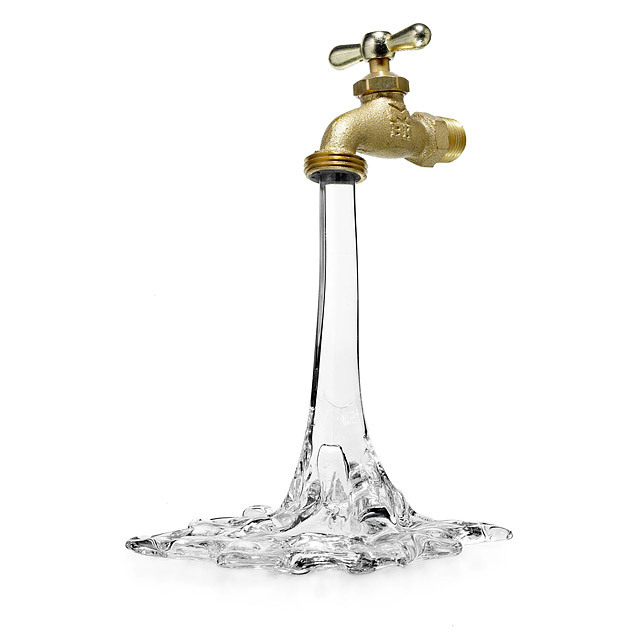 This glass and metal faucet sculpture is sure to quench that thirst. Eyes will make double-takes as the flowing glass "water" will confound your guests. Handmade by Gary Guydosh in Pennsylvania, where glass has a distinctively rich history, this accent is created using classic glassblowing techniques and craftsmanship. Please visit UncommonGoods.com to purchase.